Tender on the inside but crispy on the outside these grilled potatoes are a favorite. This recipe also comes from Greg. 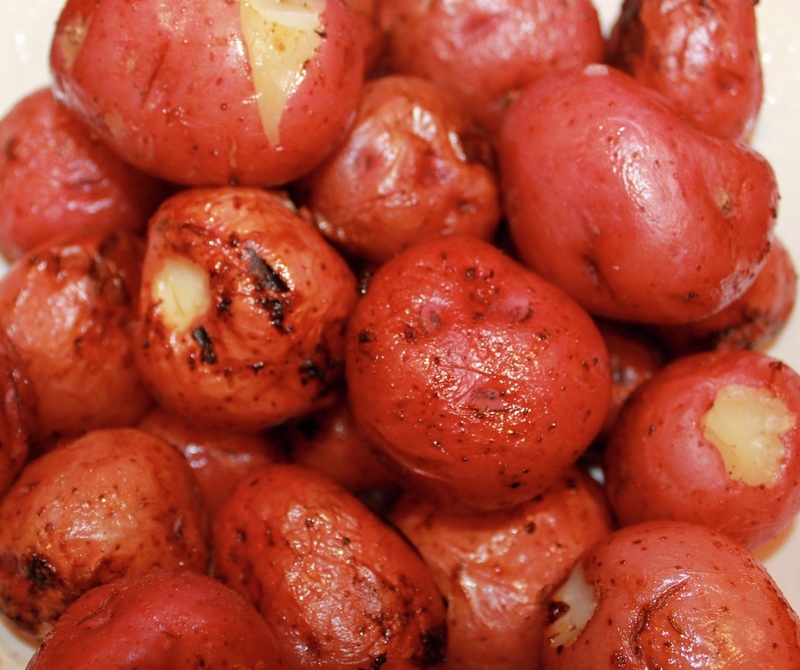 Steam the potatoes in the microwave or boil them on the stove until tender. Remove the potatoes, cook on covered grill with an indirect heat for an additional 10-15 minutes. Skin will turn crispy when ready.